Tags: Education, environment, Hiking, outdoors, Support. It’s time for a peek into the hiking side of our project, though the ramifications of this topic are relevant to all of society. 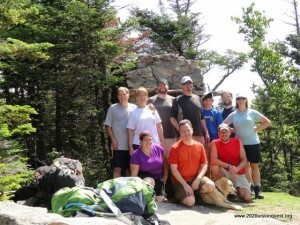 The principles of Leave No Trace (LNT) are simple and well articulated at this site. The video, impressively with audio description, is a fantastic start to a quality education on the topic! The challenge comes in each individual’s personal interpretation of how LNT will apply to them. A second and equally powerful challenge is the compromise necessary to meld these personal choices into an effective strategy with a humane approach. On the 2020 Project, we’ve already faced the discrepancy of approach, and fortunately it was managed by calm and reasonable discussion, education, and consideration – but that is sadly not always the case. 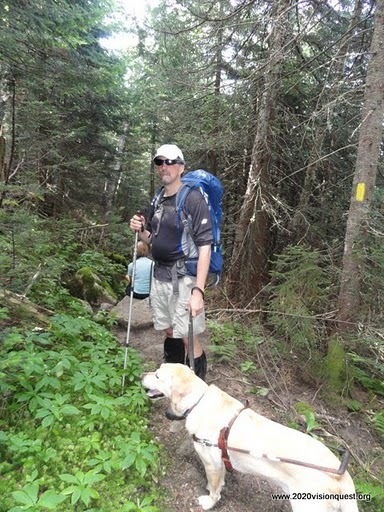 I encourage everyone to learn the basic principles of LNT to ensure we are tending the well-being of not only our hiking environs but our entire planet. A green-aware world can benefit us all in many ways. We hikers can each see immediate positive, or negative, impact by the decisions made in our forest and mountain habitats. We may also benefit tremendously in how we approach these topics with our fellow humans, and respect the quintessential points of LNT while keeping in mind the subjective ‘gray areas’ that exist. Let’s examine the Gray Jay magic experience that we shared last year. By feeding the birds even a nominal amount of dried fruit, are we adjusting their behaviors and putting them at more significant risk? Answers to that question may vary, even from the experts. The first step is awareness of a potential impact, which at the time of our experience, we did not even consider. That was a mistake, and part of the reason why we want to emphasize education and planning as a successful approach. Hiking blind, and with Quinn, I increase my potential impact in several ways that are difficult to avoid. The extreme of leaving no trace suggests that I not even partake of the wilderness experience, but I’ve obviously made a different choice there. So, the next recourse is ensuring that I have the techniques that minimize the negative potential of my presence, and to those I will remain dedicated. I hope all of you will do the same, including the polite and appropriate sharing of concerns with each other as we all strive to enjoy an incredible experience while preserving it for all who come after us!